Question: What are comfort layers in a mattress? You’ve been mattress shopping and sales people have coined a phrase that just doesn’t make since to me. They refer to parts of the mattress construction as comfort layers, as if the rest of the mattress isn’t comfortable. So my question is What are comfort layers in a mattress and are they necessary? For nearly over 100 years we have put coil springs in beds and for just as long we have put “stuff” on top of those springs to make it feel better. Simply put cushy padding is placed on top of the steel wires that make up the coil springs. By themselves, they’re not something you would want to sleep on overnight. Pad them up on top with cotton, layers of firm or soft foam, breathable wool, fluffy polyester fiber and any number of other natural and synthetic things and you have what the industry calls comfort layers. Note: Comfort layers can also be used on other types of mattresses like latex, memory foam, waterbeds, and airbeds. Multiple layers make mattresses thicker and more luxurious. Don’t be fooled. Thicker mattresses can also be built with low quality or low grade building materials that can shorten bed life and lower cost dramatically. So compare layers and their quality and remember this can be different from one mattress to the next. Zoning of the layers has become popular and one mattress zone to another comfort layers can be different. Mattress zones can be made hard or soft and anything in between. This change can have a very positive affect on mattress support for the different parts of the body while you sleep. Be sure that the feel is one that you like do not settle. 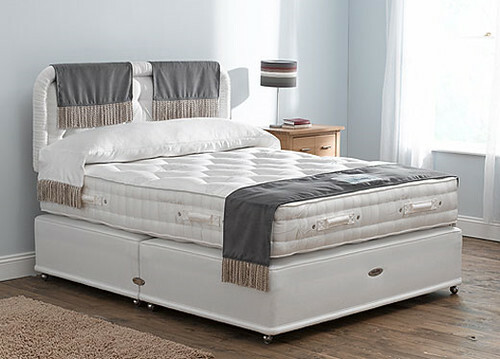 Mattress quilting can definitely have an effect on mattress’s overall comfort, however make sure that the amount of comfort material that is added is enough to influence the feel of the bed. Cover fabrics that incorporate one, two, or three percent silk or wool in the blend of the thread will have little to no effect on anything but the mattress’s cost. Luxury mattresses that use wool and silk typically use a higher content of such materials that enhance the comfort which won’t be lost when you put a sheet or mattress pad on the bed.